Starbucks Introduces Mobile Ordering to Users Across the U.S. The Starbucks app now allows users to order and pay for their drinks and meals from their phone, prior to picking them up in the store. Starbucks has announced the release of its Mobile Order & Pay functionality for iOS and Android users across the U.S. The new feature for the Starbucks mobile app allows customers to place and pay for their orders at participating Starbucks locations in advance, rather than waiting in line at the store. This nationwide rollout follows multiple testing phases, beginning in Portland, Ore., in December 2014. By March, stores across the Pacific Northwest had access to the functionality, with 3,400 stores across 17 states receiving the program earlier this summer. With the full launch, users can place and pay for their orders to pick up at more than 7,400 company-owned stores across the U.S.
To use the service, users select one of their favorite Starbucks locations, and can browse a menu of available items, which offers pictures, nutritional information and more. Users enter their payment method to continue, with purchases supporting the My Starbucks Rewards loyalty program, so users continue to earn rewards through these digital orders. It took a year of intense work before we even launched it amongst a tight-knit group of different functions. This is core to operations now. We designed Mobile Order & Pay to be seamlessly integrated into the operational flow, for both the partners in the store and the customers in the store. But also for how the production engine works. How the hand-off plane works (where customers pick up their orders). How the routines for the partners work. We designed it from day one with the goal of making this a seamlessly integrated feature set and platform, much like we did with drive-thru, as a company. We had to have Operations be a key partner to this core of different functions that came together to work on this. What surprised me the most was how similarly operators in our company and the digital team think. It was fascinating. The Starbucks mobile app is available to download for free on the iTunes App Store and Google Play. 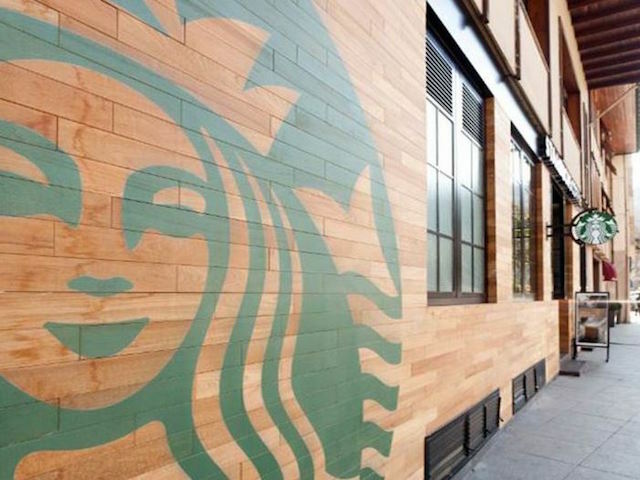 Starbucks plans to introduce Mobile Order & Pay in select company-owned stores in the U.K. and Canada in October 2015.